Olive grove ‘Seferli ” from Sparta is the most preferred olive oil company by top chefs and restaurateurs in our country and abroad. A small family from a village in Laconia can manage to give oil to some of the best restaurants and hotels in our country? 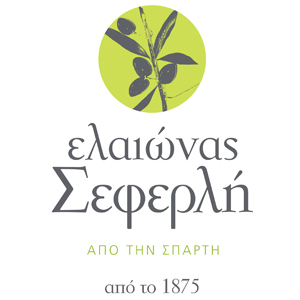 The Eleonas Seferli proved that with their excellent and quality products, with high nutritional value. Eleonas Seferli is located in the village of Goritsa Laconia. The grandparents of Christos Seferli were involved with the cultivation of olives since 1875. The tradition has been continuing from generation to generation and today Chris continues to produce and promote the most precious harvest of Laconic land, olives and the olive oil. [Chris decided to utilize the old family building, forming it into a modern bottling olive oil, to leave behind the life and routine of the city and deal with the oil. In May 2006 the distributes of olive oil began again. Now he is doing himself the distribution in Athens once a week. In this way there are not intermediaries as a result the price stays the same]. Eleonas Seferli products can be found in super markets DUKE in super markets PROMITHEFTIKI FOOD and other sale points.